What is Summer Slide and How Can I Prevent it Happening to My Child? 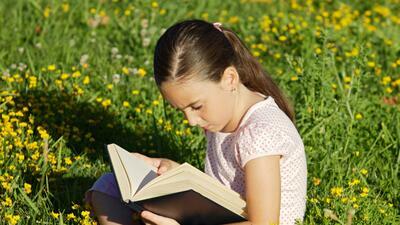 Summer Slide is the somewhat inevitable regression of school skills during the summer months. There is good news and bad news when it comes to the dreaded Summer Slide. First, the bad news; there is really no way to avoid it completely. Think about it. If you practice a skill for ten months of the year, and then take two months off, respectively, there will be some lag in your skill development. The good news, however, is that there are a number of strategies to help prevent some of that summer slide regression from erasing all of that hard work. This one shouldn’t surprise you. Reading is one of the greatest ways to keep our literacy skills strong. Remember, reading is reading whether it’s a comic book, a magazine or a novel. Reading together is an even better way to work on literacy skills while keeping connected as a family. If you’re lucky enough to live near museums or historical sites, make it a priority to do some visiting. The real life experiences that can be gained here tend to make strong impressions on kids. They’ll have a great time and impress their teacher with their knowledge of Picasso’s Blue Period or the feeding habits of the tree frog.. There are a couple of reasons I am terrible at cooking. One of which, is there is a ton of math involved in cooking. Keep the math skills sharp by cooking with your child. Ask them to help halve or double a recipe and see if they can do it. Smaller children can help by measuring out quantities or splitting the finished product into a ‘fair share’. The best part of this little activity is that you’ll get your meal made and your studying done at the same time. Even if the kids are tired of the real thing, they seem to love playing school. Maybe it’s because they get a chance to play ‘teacher’ and make the decisions for a change.. Either way, they are probably reviewing some pretty crucial skills as they make up assignments and mark tests for each other. There are some very reputable summer camp providers out there. They design their camps around age appropriate skills that are both social and academic in nature. If you’re working all summer and would rather the children find something worthwhile to do with their time, tell them to ditch the screen and get ready for day camp. Before you know it the summer will be over and they’ll be back to school so start working these ideas into your routine before it’s too late.